„Industry 5.0“ – Green light for the future of five apprentices at UTT! 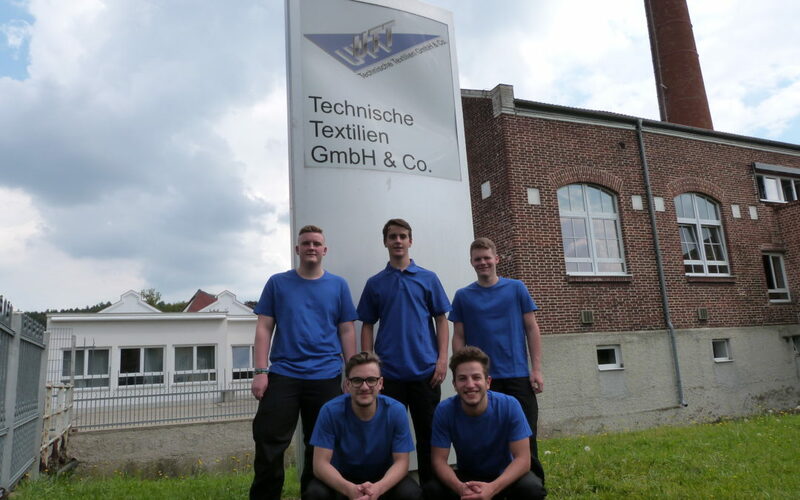 UTT gains reinforcement: Five apprentices started their education on 1st September 2016 in various jobs at UTT Technische Textilien GmbH & Co. KG. They will be taken on a journey to explore the digitalization of working- and production processes. This digitalization was already established quite a time ago at UTT. Information technologies are also a topic on their way to the trade exams as well as automatization technologies of mass production. As a responsible employer, UTT qualifies their trainees with regular lessons of Mathematics, German and Social Studies. In corporate projects the social responsibility, which is getting increasingly important, is taught. “Thinking in context, interlocking of apprenticeship and further education, openness to new ideas: taking these facts into consideration, no one has to be scared of being substituted by robots”. This is the clear opinion of the management board.